I really love this podcast but I absolutely despise the updating of new episodes.As an example, today 1/4/19 just received two ânew episodesâ from 12/07 & 12/14. This happens all the time, by the time they show up, they are irrelevant.You guys need to up your game, thus is ridiculous. Most podcasts I listen to show up within an hour of the live show ending.Please do something! If you want to get to truth backed up by facts, this is a âno missâ show. Dan culls all the data to the important issues and helps connect the dots of our political and cultural landscape. I never miss a day and so appreciative for the knowledge and smiles I receive from Dan and Amy. Some callers may not like what they say, but truth hurts in a media world that distorts and holds back facts. What a super program! The content is first rate. The guests are of the highest caliber, and all speak with honest humility and a depth of thorough knowledge of their subjects. 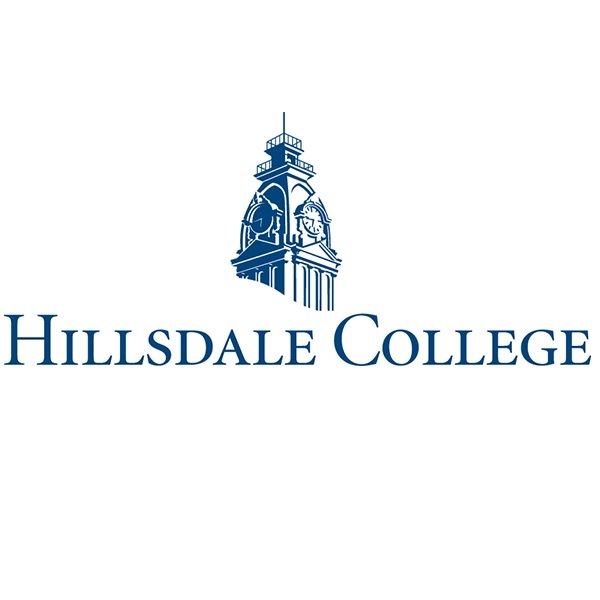 However, it's hard for me to listen very long to this show because of the host and his very large personality, And I am certainly not referring to the president of Hillsdale College. He is indeed a breath of fresh air mostly offsetting the host of the program. Very engaging and timely relevant discussions of historical politics. This would be a 5 star review but for two words "NOISE GATE". You can hear every breath, coffee sip, and mouse click. I'll forgive the phone connection/skype link. Most guests are caling in with connections that arn't ideal, however the guest voice level and static is perfectly acceptable given the limits of technology. The enviromental noise coming from the hosts mic is unforgivable. Besides the above it's a great podcast and consistantly has very intelligent and thought provoking conversation. Just add a noise gate to your rig. Spaulding is dead on point. I have not found a better podcast of discussion and dialogue of current issues and how they compare and relate to our founding documents and US history. It is incredibly refreshing to hear about the current issues in light the of the original intent of our Constitution and also of other methods that have already been and are being tried in regards to the topic. The only podcast set to automatically download and the first I listen to. Canât get enough of Dr Arnn and Hugh discussing anything and the best of things. As a college admissions professional, I visited Hillsdale College this past summer and had a thoughtful, nuanced discussion with an admissions officer there, and thus was intrigued when I found the 8-25-2017 episode. Unfortunately, I found the show superficial and self-congratulatory. For a more nuanced, thought-provoking podcast, I recommend Pantsuit Politics. If youâre interested in education, the episode on public education finance was enlightening. Superb eduactional podcast that explores the great works & historical figures that influenced history. Larry Arn and the other Hillsdale professors make great speakers with Hugh Hewitt playing off them nicely. They also know their stuff and will even get you excited to check out the classics, from Herodotus to Virgil. Granted, it does have a conservative slant but it done fairly, making for one of the best educational podcasts out today. I love listening to Huge Hewitt and Dr. Arnn. So informative from a true and honest conservative American views..Update: where are you? Has the last hour of Friday's podcast been cancelled? Perhaps education is wasted on the young, but I don't think my professors had the same clarity of understanding and purpose in conveying meaning as Larry Arne and his colleagues at Hillsdale.This is a must listen for anyone who desires to understand first principles while getting a side education in Winston Churchill and Abraham Lincoln. I would also highly recommended it for home schoolers everywhere. I pride myself a little that Iâm the one (in my circle of friends/co-workers) that found this podcast. Even though all I did was search âHistoryâ and it was the first one that came up. This is what I shouldâve gotten in school but didnât. These are surveys of the most influential ideas in the Western world, and theyâre presented in an entertaining way. So I can learn a lot to discuss with my family and friends when I otherwise wouldâve just been mindlessly driving along/mowing the yard/etc. Probably no better way to learn great ideas in terms of accessibility/portability/depth/entertainment. After Holy Mass, this is the greatest hour of my week. Keep them coming! Far above the typical talk radio model. This is a great dose of classical and political education each week. I've been looking for a podcast that would be educational but presented in a manner that a guy who loves 80s metal could understand. I've listened to 6 or 7 episodes so far and am hooked and look forward to the rest of the episodes. Subscribe to the channel; pick up and listen. Tapping into what the world needs to unearth once again! I appreciate and thoroughly enjoy these conversations done by and Dr. Arn and Mr. Hewitt. They do a great job, in a very short amount of time, to give a survey of great literature and great points in history. You come out of these feeling exhausted, fulfilled, and thirsting for more knowledge. These two educated colleagues tap into something that the world overlooks and desperately needs to unearth again. I am a recent Hillsdale College graduate and wish everyone would listen to this podcast. Even if they don't agree with the politics learning about the great books can never hurt.